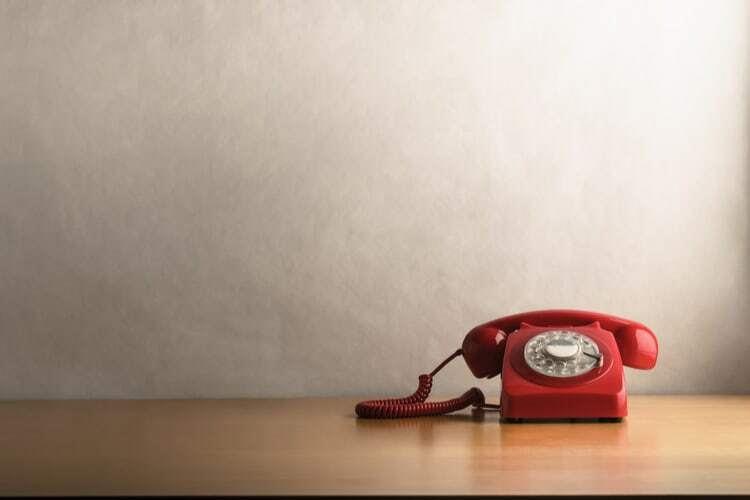 09/01/19Pension cold calling ban: What does it mean for scams? The long-awaited ban on pension cold calling came into effect on the 9th January 2019. In a bid to protect pensioners being targeted by fraudsters, the ban has now been approved into law. It’s a move that should help the Financial Conduct Authority (FCA) and other organisations reduce pension fraud. Previous figures released by the FCA and The Pensions Regulator (TPR) have shown how devastating pension scams can be. On average, victims lost £91,000 in 2017. It’s a significant sum that could have a long-lasting effect on retirement plans, as well as causing stress. Pensioners and those approaching retirement are often targeted by scammers through unsolicited contact. In fact, Citizens Advice previously suggested 97% of scam cases about pension unlocking services stemmed from cold calls. Attempting to entice pension savers, scammers will often offer ‘a free pension review’, the ability to unlock a pension early or suggest investments that are ‘high return, low risk’. These suggestions should be a red flag. However, a poll found almost a third of those aged 45 to 65 wouldn’t know how to check if they’re speaking to a legitimate pension adviser or provider. 12% would also trust an offer of a ‘free pension review’. Highlighting the scale of the problem, TPR recently revealed it’s investigating six people for pension fraud. It’s believed around 370 people have been persuaded to transfer around £18 million. It’s easy to see why criminals are targeting pensions. Some savers may find pensions complex, meaning they’re far more likely to be duped into giving away their pension or personal details. On top of this, a pension is often one of the largest sums of money people have saved over their working life, and many don’t regularly check it. As a result, it’s thought many pension scams go unreported. This, combined with the way criminals target pensions, has led to increasing calls for pension cold calling to be banned. After delays, it’s a step that’s now been taken. So, what does this mean for you? Firstly, it does offer you more protection. You know that if you’re receiving a cold call from someone wanting to talk about your pension, you should hang up. Reputable providers and advisers that you want to work with will take note of the ban and cut out this form of contact if they’ve been using it previously. But that doesn’t mean you should let your guard down. A ban on cold calling doesn’t mean fraudsters will stop using this tactic if it continues to work. Awareness of the ban and giving pension holders the confidence to step back from unsolicited contact is crucial. There are also loopholes that criminals will try to exploit to pose as genuine advisers and providers. Calling from abroad: The cold calling ban only applies to UK phone numbers. As a result, it’s thought that fraudsters will call from abroad, allowing them to navigate around the ban. Contact via email and text: The new legislation only covers calls, not unsolicited contact via email or text. While this is an area that’s covered to some degree by EU regulations, it’s still something to be cautious of. The risk of being targeted by scammers wanting to get their hands on your pension is still very real. These six steps can help you reduce the risk. Understand your pension: The more you understand about your pension, the better the position you’re in to safeguard it. For instance, scammers may suggest they can help you access your pension before the age of 55. However, this is only possible in very rare circumstances and should be done by contacting your pension provider directly. Don’t make any quick decisions: Pension decisions can affect your income and financial security for the rest of your life. As a result, you should take your time. Reputable professionals will understand this, while criminals will try to pressure you into making a snap decision. Be cautious of all unsolicited contact: While the cold calling ban does offer some protection, you may still be targeted by unsolicited contact. Be cautious when responding to any type of communication you’re not expecting. Check the authenticity of who you’re speaking to: The FCA Register offers a simple, effective way to check if you’re speaking to a regulated person or company. Be aware that criminals may use the genuine details of an adviser or firm. So, if you’d like to talk to a professional, call them directly using the details listed on the register. Ask questions: Scammers rely on you taking them at their word. Asking questions can help you uncover the lies they’re telling. From investment risk to legislation, genuine providers will be happy to answer your questions, understanding that any pension decision is a big one. Be realistic: The golden rule ‘if it sounds too good to be true, it probably is’, certainly applies to pensions. There’s no simple way to significantly boost your pension savings or access it early. If there were, more people would be doing it. If you’d like to discuss your pension, whether you think you’ve been targeted by scammers or not, please get in touch. We’re here to help you understand what your pension options are. This entry was posted on Wednesday, January 9th, 2019 at 9:28 am	by Peter and is filed under News, Pensions. You can follow any responses to this entry through the RSS 2.0 feed.